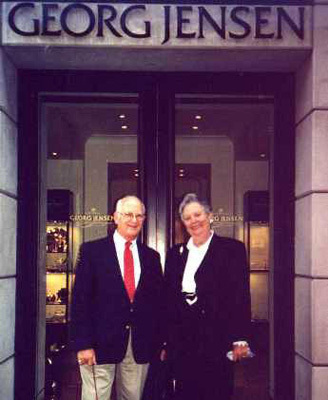 Owned and operated by husband and wife Harold and Caryl Unger, Imagination Unlimited has been a purveyor of antique silver for 25 years. 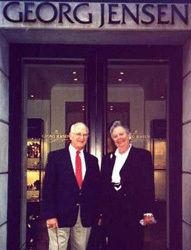 Before founding the company, Caryl had successful careers, first as an interior decorator, and then as a party planner. She was joined by Harold on a full-time basis after he retired from a busy surgical practice in Miami Beach. 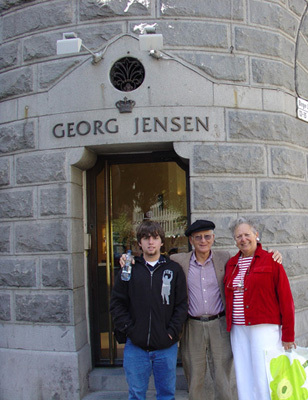 Because of their mutual interest in Scandinavian design, their focus gradually centered on the work of Georg Jensen. They began to develop an extensive photographic and literary collection, which led them to publication in a number of silver magazines and trade papers. They have also lectured extensively before antique dealers and collectors, including a seminar at the University of Maine and aboard the QEII. 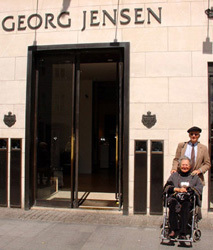 They are currently in the process of writing a book on the life and work of Georg Jensen. 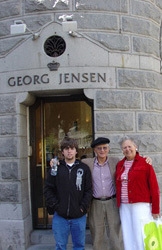 Imagination Unlimited now specialize in the work of Georg Jensen and other Danish silversmiths. 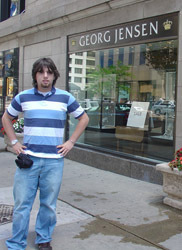 They buy and sell flatware, servers, holloware and jewelry, and advertise in national publications and on the Internet. 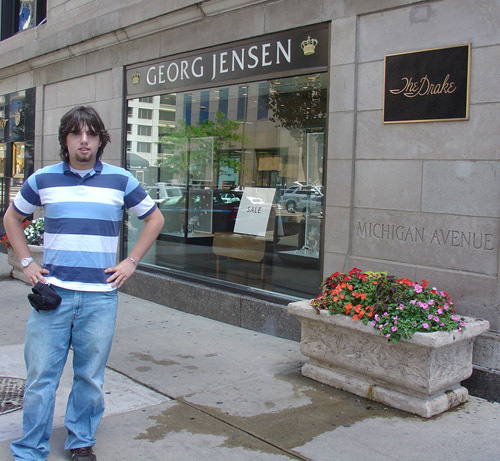 Their grandson, Jamie Unger-Fink, a student at the University of Florida, has joined them at Imagination Unlimited and has taken the role of photographer, webmaster, and online salesman. 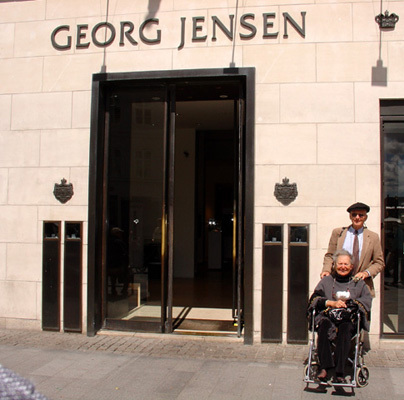 These photos are of Harold and Caryl and Jamie in front of the Georg Jensen stores in New York, Coperhagen, Stockholm and Chicago (respectively).